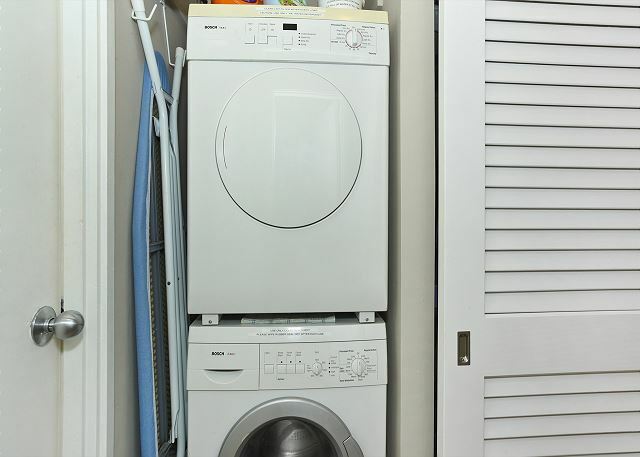 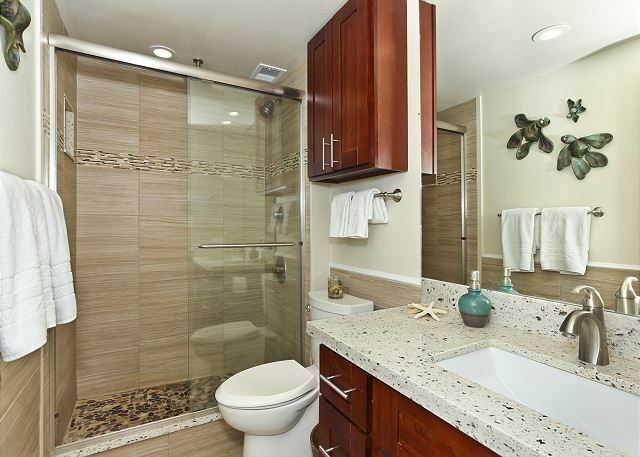 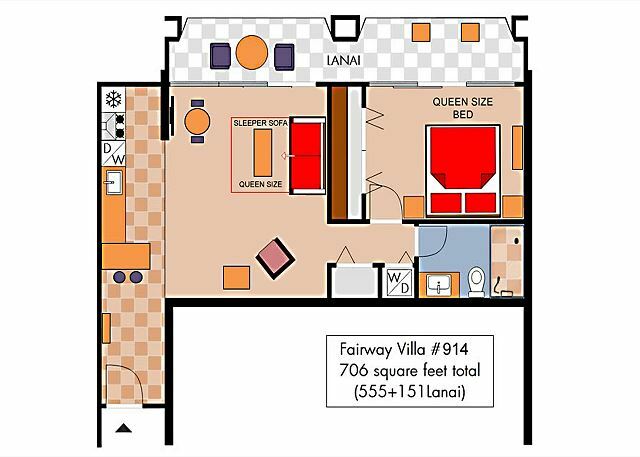 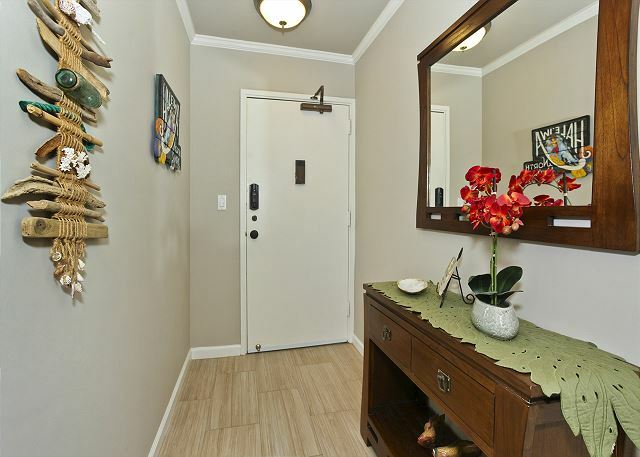 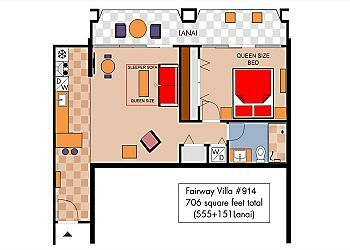 Fairway Villa #914 - Fresh Contemporary/Hawaiian Decor with A/C, Washer/Dryer, WiFi, and Parking! 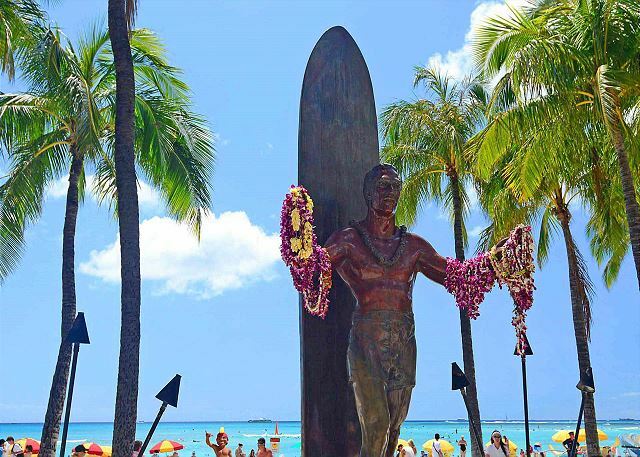 A Slice of Aloha! 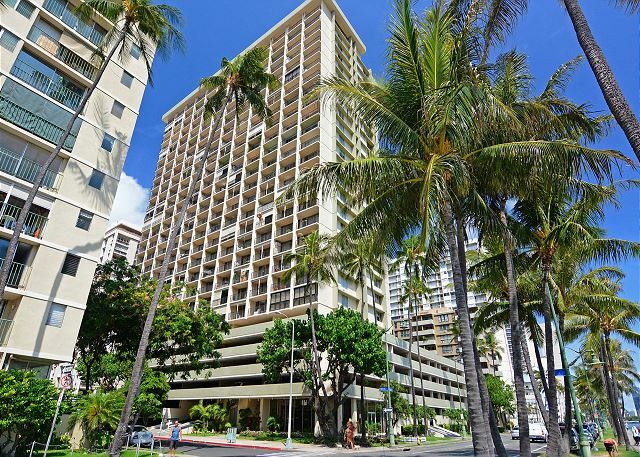 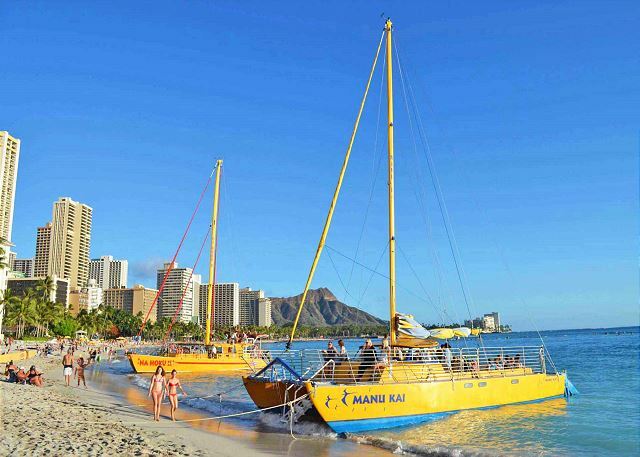 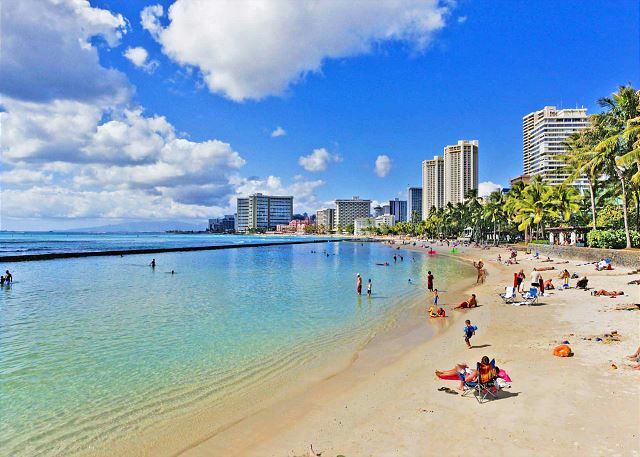 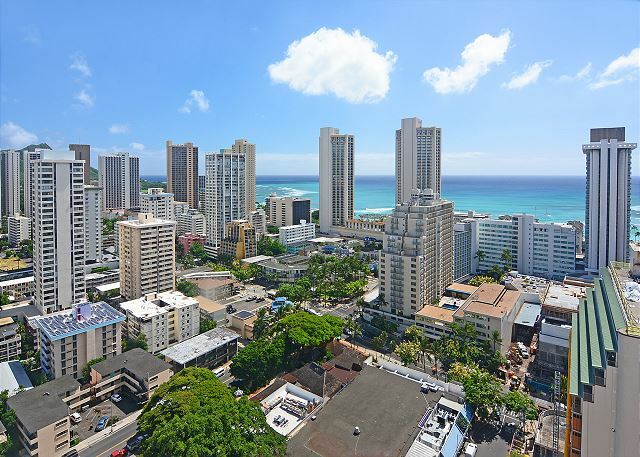 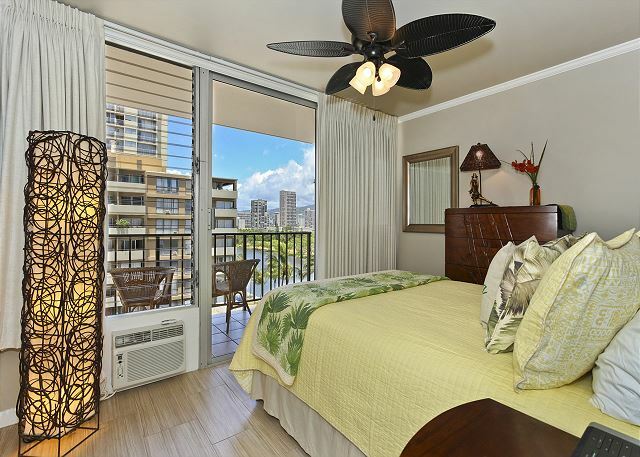 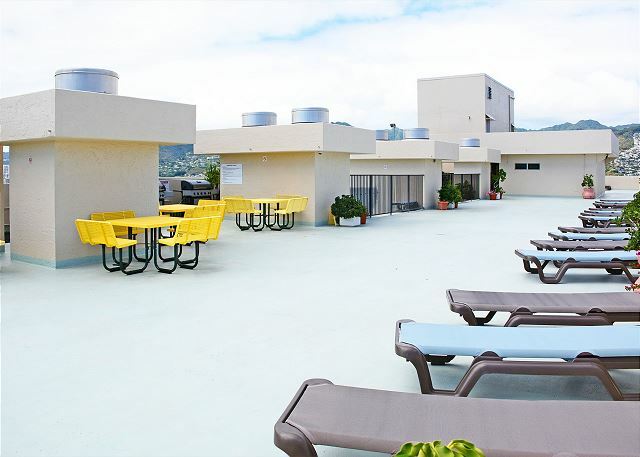 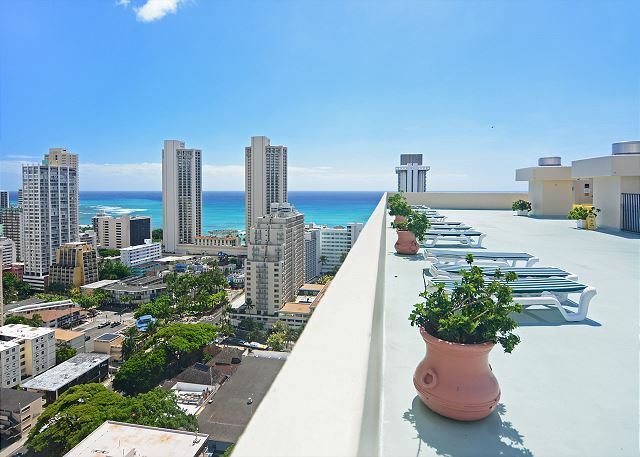 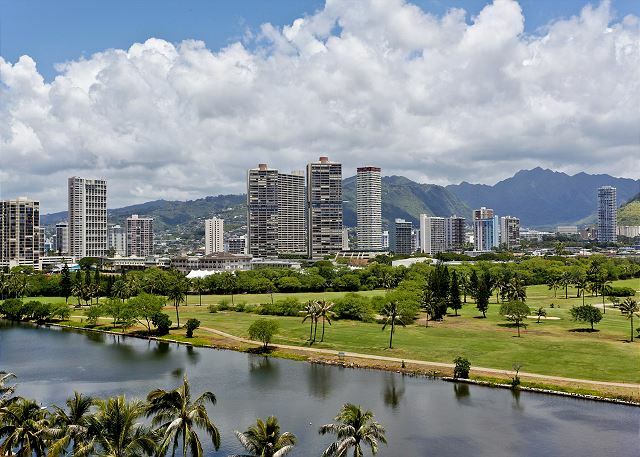 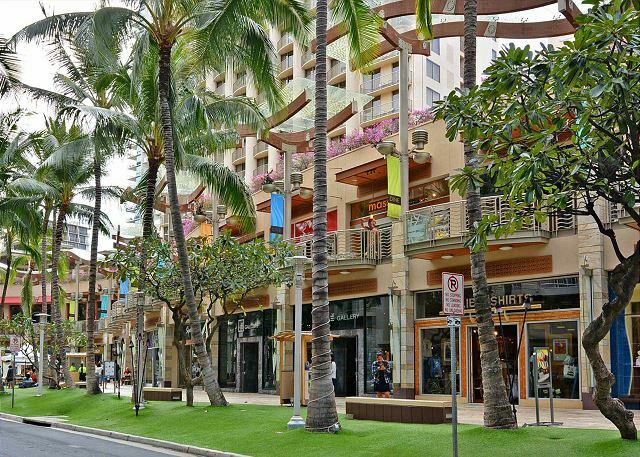 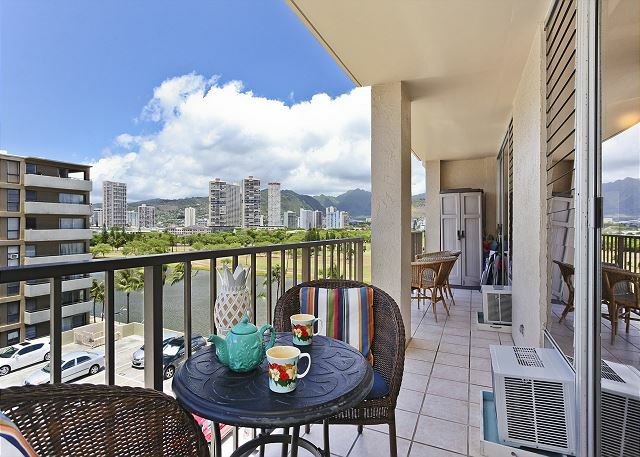 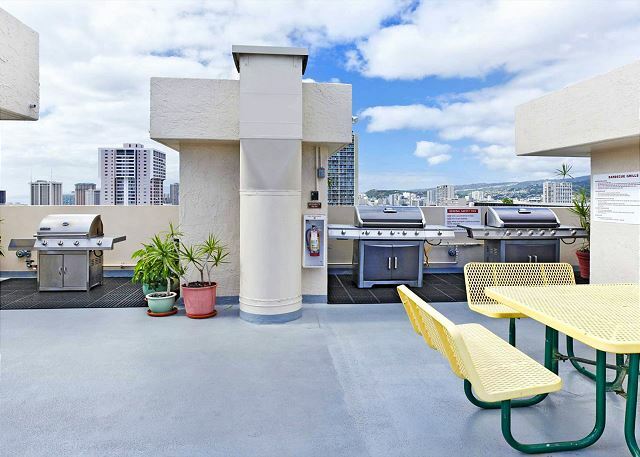 Great views, contemporary/Hawaiiana in design, relaxing and close to everything! 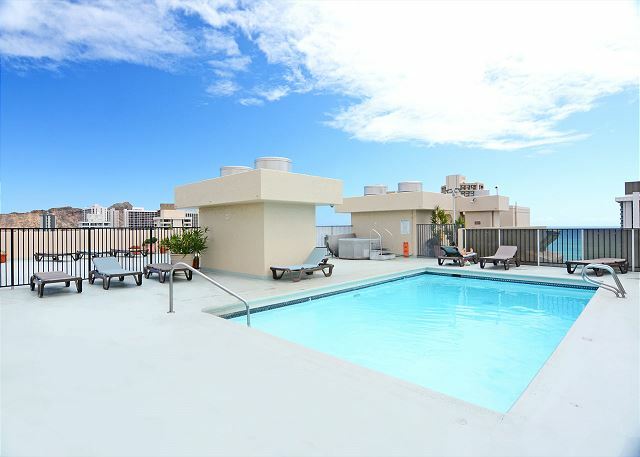 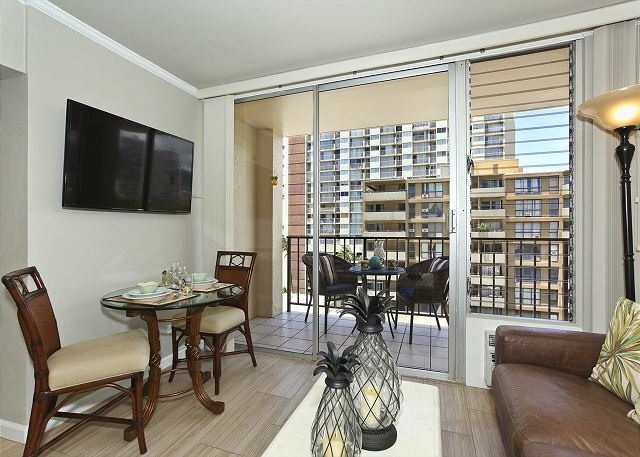 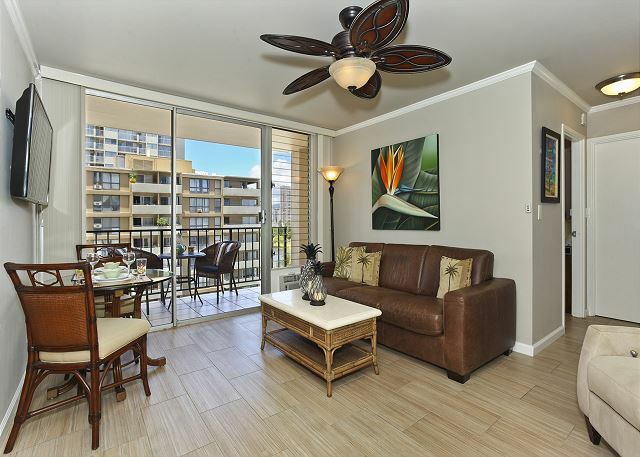 This fresh one-bedroom condo with A/C (555 sq.ft, plus large balcony/lanai with table and chairs) features ceramic tile flooring throughout. 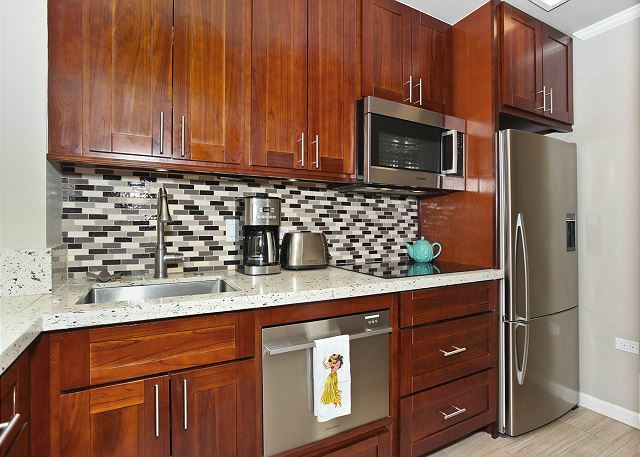 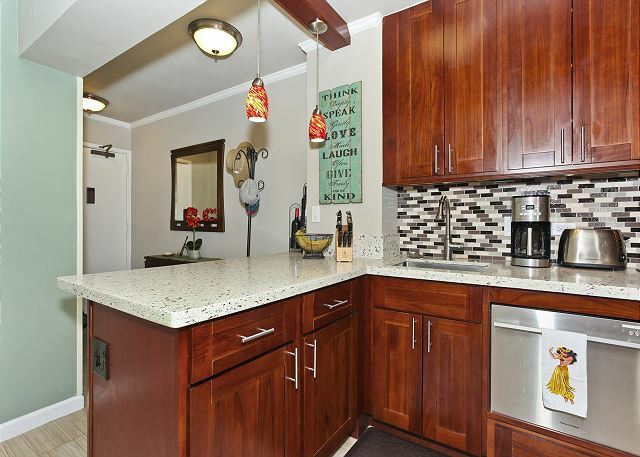 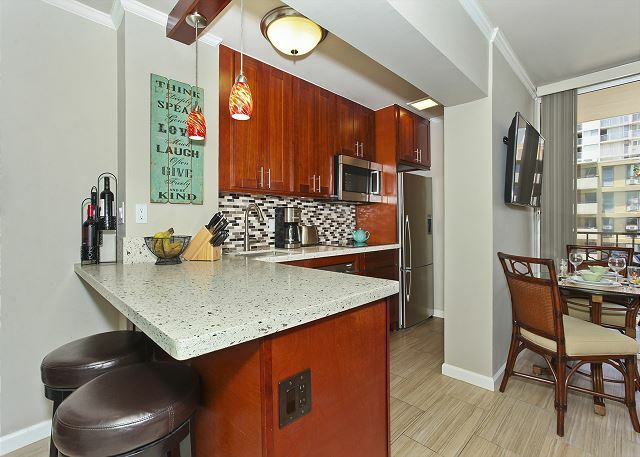 - Stainless steel appliances including a drawer dishwasher, glass cooktop, refrigerator with ice-maker, and convection/microwave oven (no regular oven). 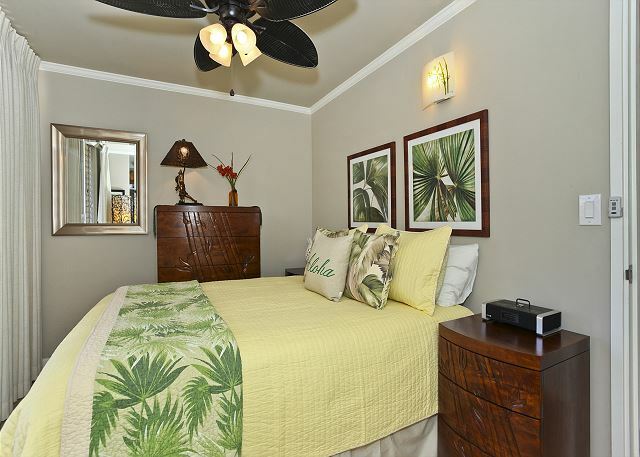 - Tropical decor bedroom is inviting with its Queen bed and palm frond ceiling fan! 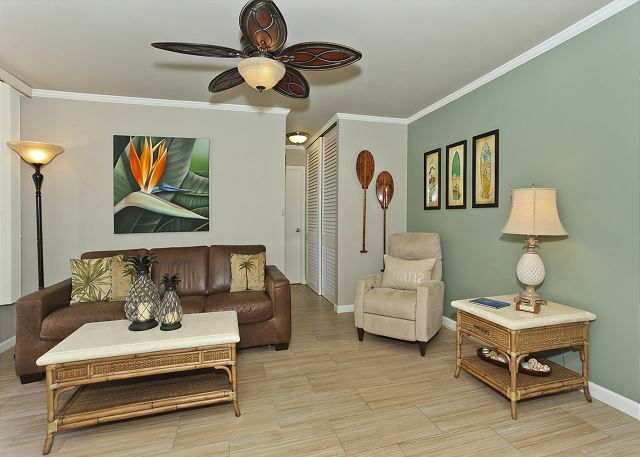 The large lanai is accessible from both the bedroom and living room! 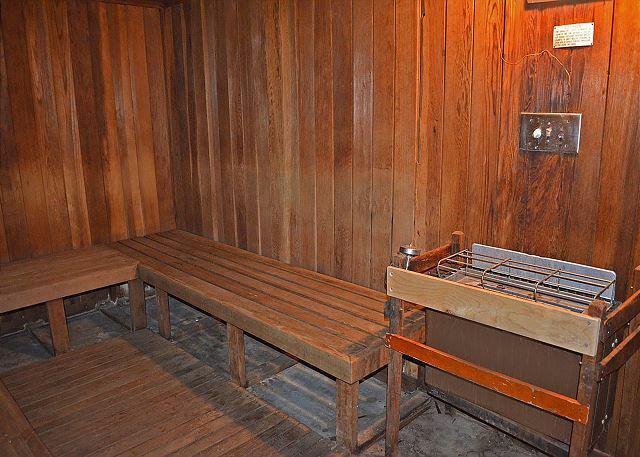 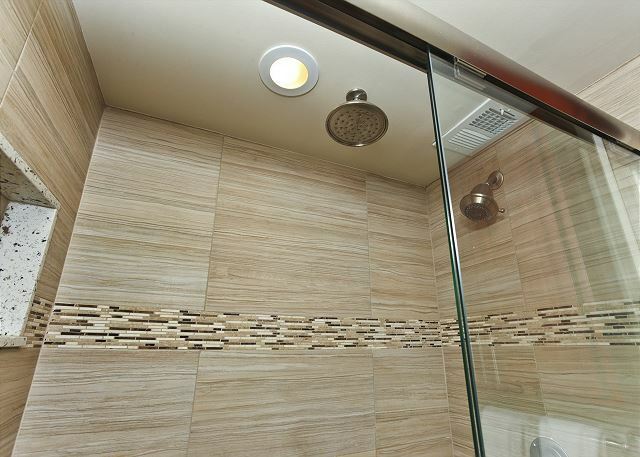 - Custom tiled walk-in shower with rainfall showerhead (no tub). 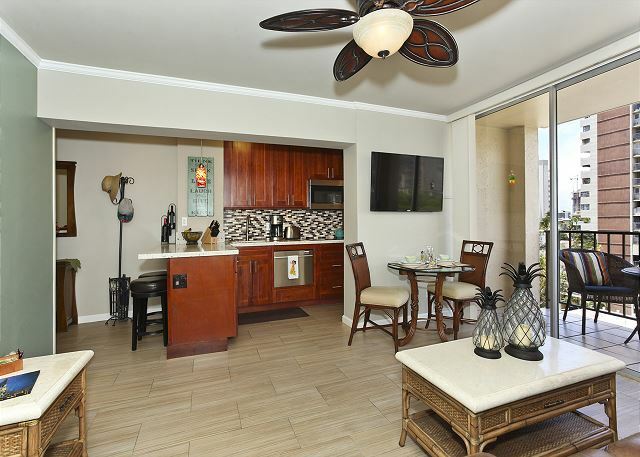 Kick back as you enjoy the sunset or enjoy the easy walk to the beach, shops, restaurants and supermarket! 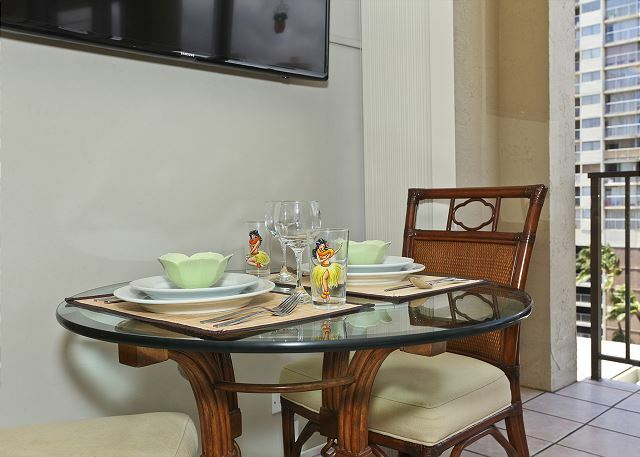 ping! 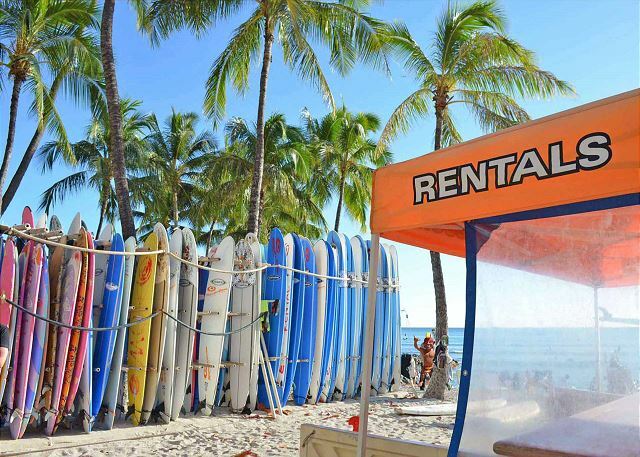 Included with your rental are: FREE PARKING for one vehicle, WiFi, and local, U.S. mainland and Canadian calls.